This Project, funded by the MISTI Global Seeds Funds, consists in applying a biomarker approach to early hominin paleodiets and paleoenvironments. Our goals are twofold: 1) to investigate the evolution of the landscape associated with hominin occupations at Olduvai Gorge and 2) to explore the significance and timing of meat-eating in human evolution. Regarding the paleoenvironments associated with the Olduvai hominins, we would like to know if there were marked wet/dry cycles shaping the landscape seasonally, which would have influenced these hominins’ settlement patterns. As regards to meat eating, our main question is: was Homo erectus adapted to metabolize animal cholesterol? Can we approach the proportion of meat vs. plants in this species’ diet? To accomplish these goals we will analyze plant and animal molecular fossils from sediment samples collected at the site (archaeological Layer 22 exposed at different localities across 2 km of the gorge, with a special focus on site PTK, a newly discovered locality bearing a rich assemblage of lithic, faunal and hominin remains). The samples will be analyzed using GC-MS and IRMS. 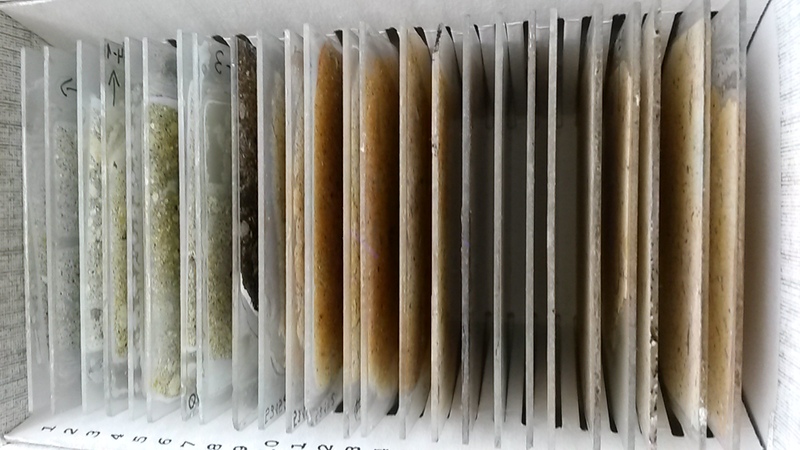 Micromorphological analysis of undisturbed sediment blocks of the same provenience as those collected for geochemical analysis will provide paleoenvironmental clues (are there alternating wetland/dryland facies?) as well as context; information about the degree of integrity of the hominin occupation surfaces (are there signs of bioturbation or other sources of reworking? Is there any visible human impact? any visible organic residues?). Answers to such questions will be crucial to guide and strengthen our biomolecular data.